Last fall (I know I’ve been remiss in getting to this), a children’s author, Melissa Height, contacted me about sending her book My Mommy is an Octopus. Her intro email was so humorous I had to say yes and was so excited to receive my copy of the brightly illustrated board book. I love the theme of the book: Mommy does many different jobs at once. Ain’t that the truth? 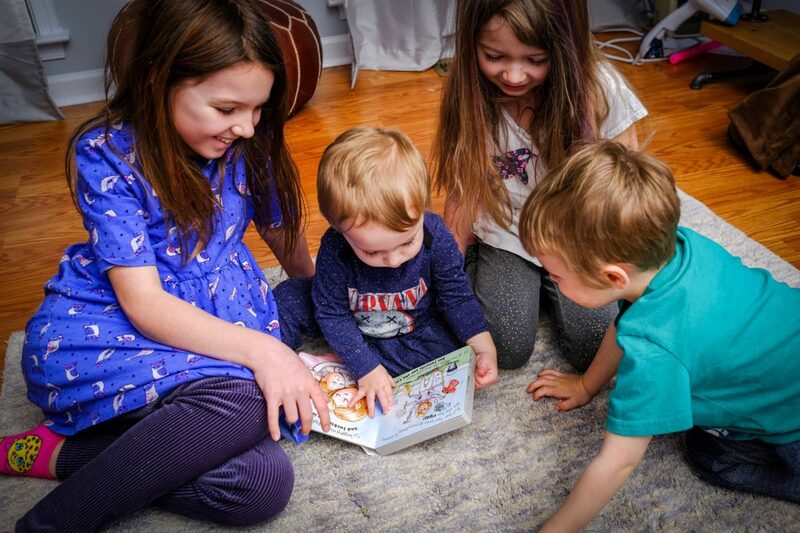 But, what I really love and kids will too is the sweet rhymes, adorable pictures, and the way the story paints the relationship between a mama and her family. The book is a slightly less shiny texture compared to most board books (which I actually like- it seems much higher quality and easier to read without the glossy glare), the pages are thick and durable, and the illustrations are precious. Support a mom and go order your own copy today. It would make a fabulous, unique baby shower, first birthday, or any occasion gift (Valentine’s Day is coming and this would make a great Easter basket stuffer). It looks like such a sweet little book! What a lovely concept for every Mom who has felt “If I just had one more arm….” Love your recommendation to support another Mom and buy the book – isn’t that what community is all about? The illustrations in this book look so fun! 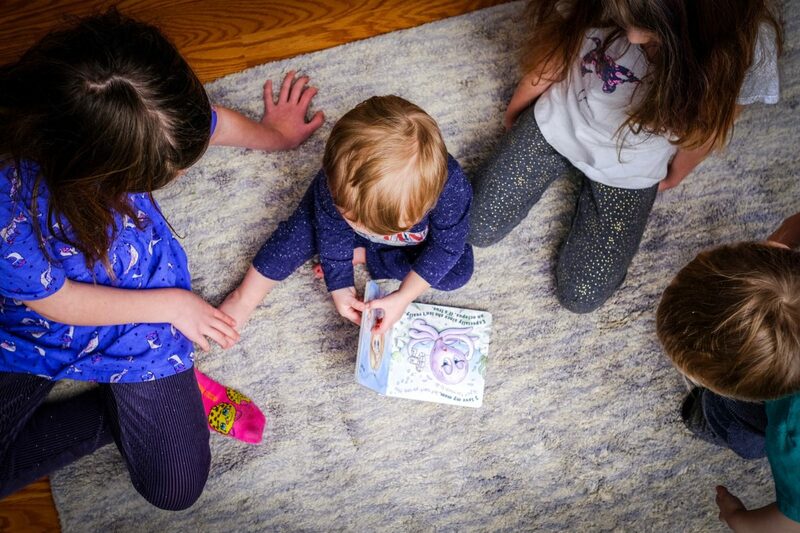 Great photos of the children, they all look very interested in baby’s book! So cute! What a wonderful idea for a book to help our kids understand all we really do! 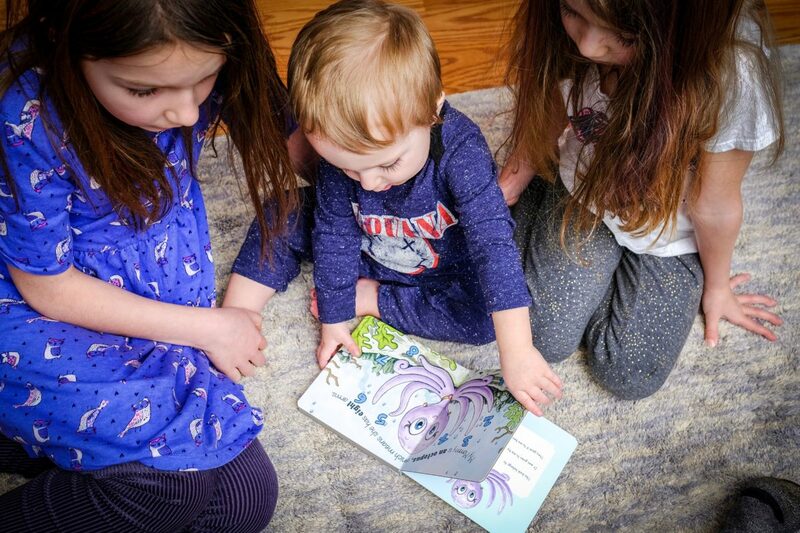 Cute pics of the kidos and I love how colorful the book is!